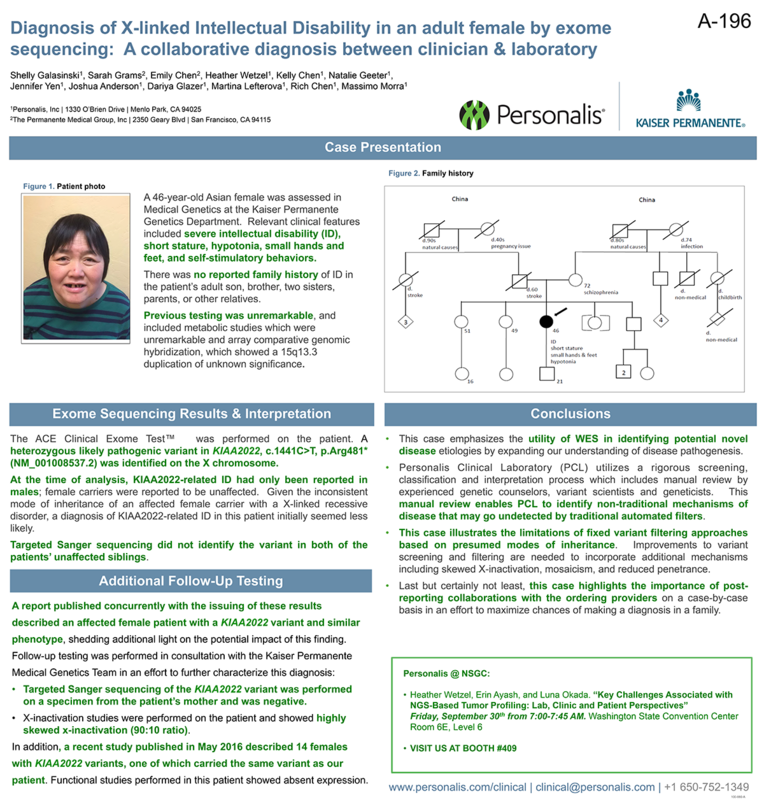 A 46-year-old Asian female was assessed in Medical Genetics at the Kaiser Permanente Genetics Department. Relevant clinical features included severe intellectual disability (ID), short stature, hypotonia, small hands and feet, and self-stimulatory behaviors. There was no reported family history of ID in the patient’s adult son, brother, two sisters, parents, or other relatives. Previous testing was unremarkable, and included metabolic studies which were unremarkable and array comparative genomic hybridization, which showed a 15q13.3 duplication of unknown significance.